The Wizards get outstanding play from Wall, Beal, and Morris as the Washington pulls away late and knocks off the Clippers, 117-110. Bradley Beal came up just one point shy of tying his career-high tonight with 41 points, with 18 coming in the third quarter. Markieff Morris was huge for the Wizards with 23 points including six straight down the stretch as the Wizards pulled away. And John Wall did John Wall things with 18 points, 11 assists, and five rebounds as the Wizards go 3-0 on this home stand. This game was tight in the first half as neither team was either to pull away. Both teams had fairly sloppy starts as the 3:30 EST start time likely aided that. The Wizards were able to stretch the lead to five during the second quarter but the Clippers countered as they led, 55-52 at halftime. After a quick 10-2 run by the Clippers to start the half, the Wizards countered with a run of their own. Bradley Beal caught fire, scoring 18 points in the third quarter and singlehandedly kept the Wizards in the game. The Wizards were able to tie the score but never took the lead in the quarter and trailed by just two, 87-85 entering the fourth quarter. After a 7-0 run by the Clippers, the Wizards answered with another 7-0 run of their own. Markieff Morris would hit three key shots down the stretch as the Wizards maintained a 114-108 lead. 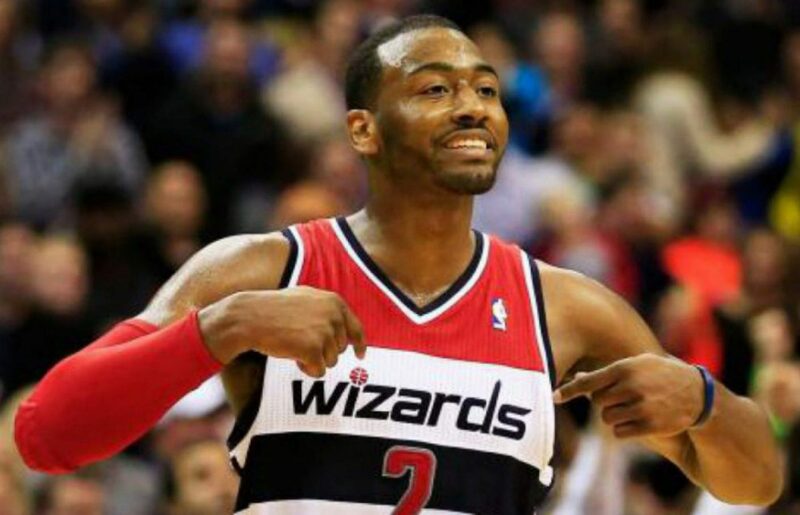 Morris would ice the game with a jumper over Rivers, as the Wizards would close this one out and win, 117-110. Beal came up just one point shy of tying his career-high with 41 points tonight. As mentioned, Beal scored 18 points in the third quarter to keep the Wizards close. Beal was in attack mode all night. At first, he was knocking down midrange shots and driving to the hole. Late, he was knocking down wide open three-pointers in transition. If Beal keeps turning in performances like this, he should absolutely be in consideration for the All-Star game. Morris logged 23 points and nine rebounds tonight for the Wizards. His midrange shot was on point tonight and even knocked down a three-pointer; something we haven’t seen from Morris in a while. He was physical on the defensive end and although had a few lapses, didn’t give up any easy buckets to DeAnrdre Jordan. Nights like these remind you of Morris’ potential. If he can keep this up, the starting lineup will be even more frightening for the opposition. There’s still a long ways to go, however, the Wizards look to finally be getting things together. Wall and Beal are playing arguably the best basketball of their careers and are starting to get just enough help from the guys around them to secure the victories. The Wizards went 3-0 on this home stand but have three games this week, all against Eastern Conference foes on the road. We’ll know even more about the Wizards in just one more week. Next postYoung hits circus shot with .9 seconds, drops Wiz 107-105.